Sharing this card I made for my friend who wanted a wedding day card. I have used a lot of My Favorite Things products on this card. 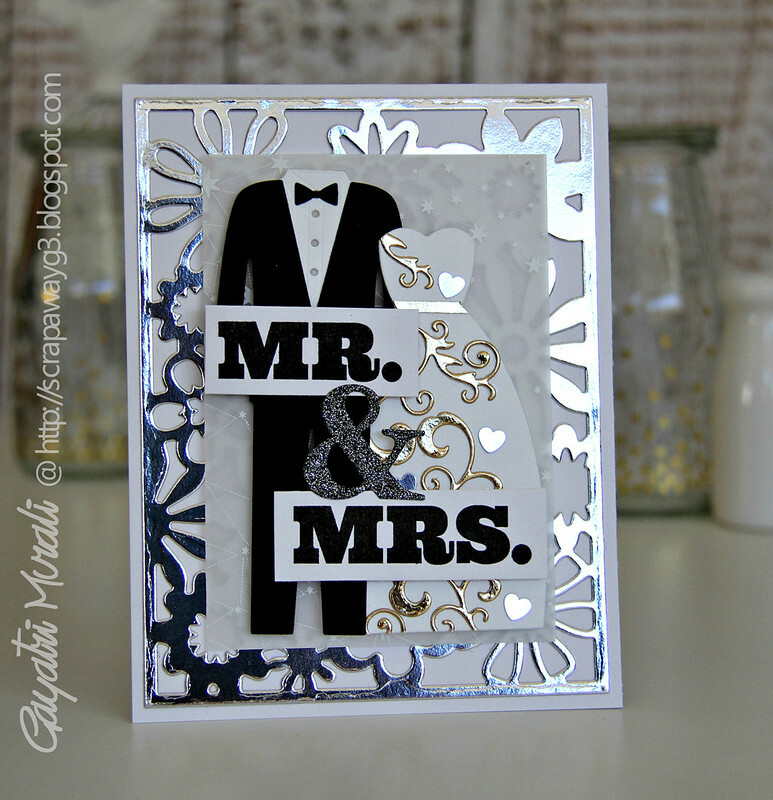 The floral cover die, the bride and bridegroom dies, the ampersand die and stamped Mr. and Mrs. images are all from MFT. 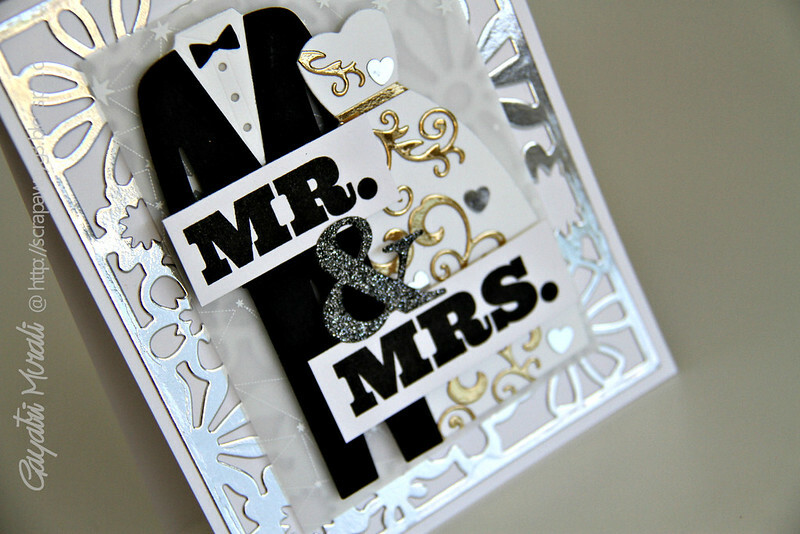 I have used the classic colour combination of white, silver, gold and black for the groom. 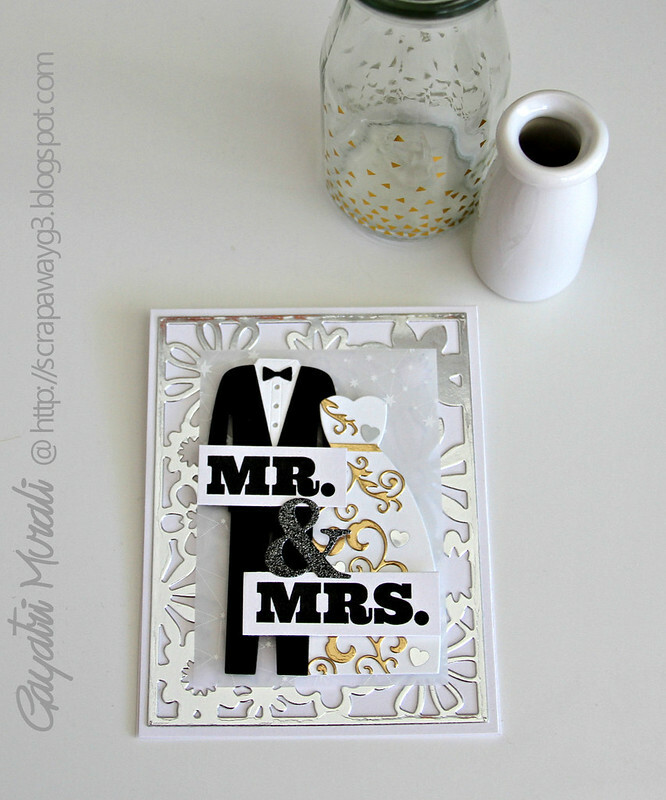 This card has lots and lots of layers and glam to it. Here is a closeup. The silver heart shaped confetti is from Pretty Pink Posh. I am very happy with how this card turned out. My friend is thrilled with it too. That is it for now! See you soon with Winnie & Walter’s Day #3 premiere! Beautifully done Gayatri, so elegant! !